The wildness of this lioness shaped cupboard knob is as unique and unusual as it gets. Completed with quality fur detailing and a snow white colouring, you have a truly luxurious and creative piece. 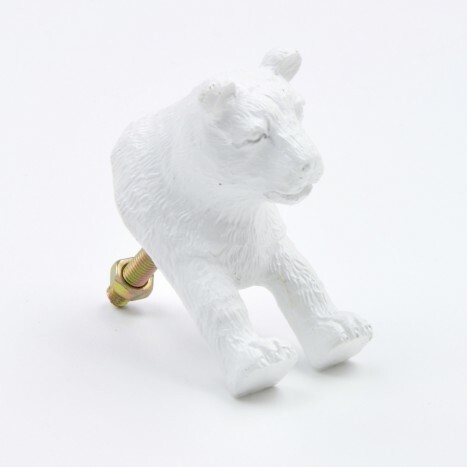 Wild-up your home with this high-quality, rare and unique lion cupboard knob. Match and contrast it with contemporary or traditional furniture to bring a creative uniqueness to your home which is sure to get the attention of your friends and family. Tags: ceramic lion drawer knob, large lion handles, children's cupboard knobs, animal cupboard knob, tiger handles.